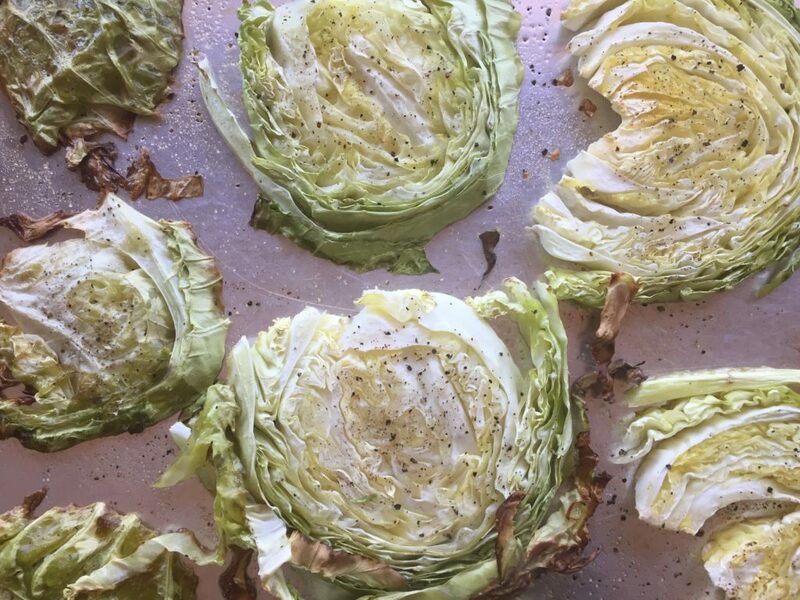 Have you tried roasted cabbage? Think of it as Brussels sprouts’ less-stinky cousin….definitely similar in flavor, but less chance the kiddos will turn up their noses because of the smell. 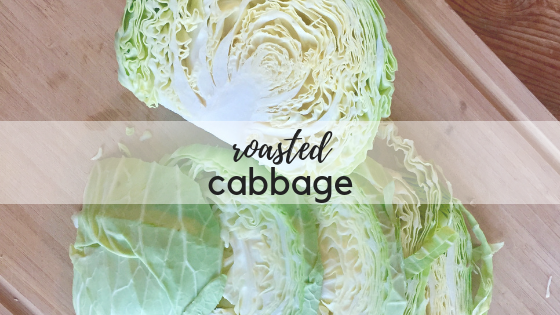 Cabbage is great fresh from the oven, especially the brown and crispy pieces, but the long noodly-shaped pieces also work perfectly as a substitute for pasta or mixed into soup, or layered with seasoned ground beef in bowl. 1. Heat oven to 425 degrees and lightly oil a large baking sheet. 2. 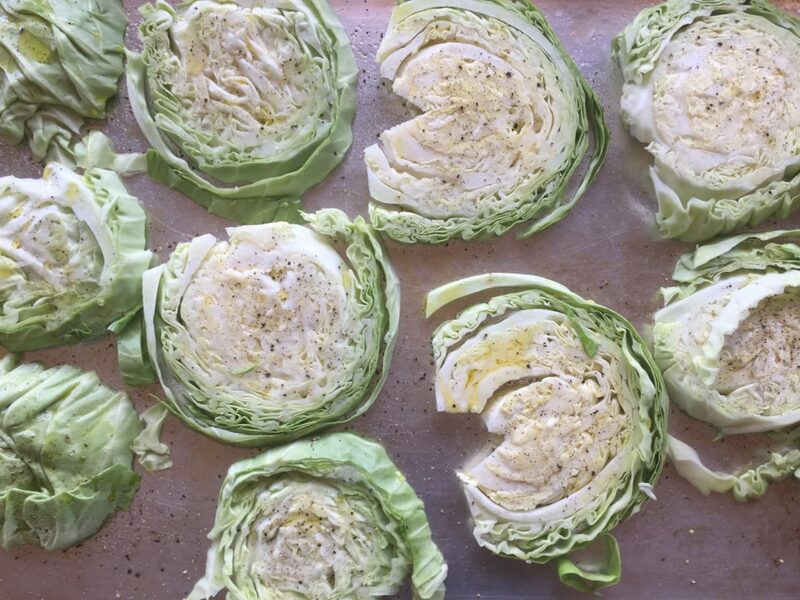 Slice cabbage into 1/4 inch to 1/2 inch thick slices. 4. Lay slices on baking sheet, drizzle with olive oil. Add salt and pepper to taste. 5. Roast 20-30 minutes, checking half-way through…..you want the smallest pieces to be brown and crispy, and the thicker pieces to be soft enough to cut with a fork. Roast as directed, let cool completely then store in an airtight container in the refrigerator several days. Reheat in microwave, or in lightly oiled skillet over medium heat. You’ll lose the crispy texture, but the cabbage “noodles” are perfect as a substitute for pasta. The thicker the slices, the longer it will take to roast. Always check about 15 minutes into the cook time, and then keep an eye on it. You want the outer/thinner edges to be almost burned, and the thicker centers to be soft. the brown/crispy edges are the best….I’d actually roast this 5 more minutes for more burned edges!